I have grave misgivings about the proposals being put forward by EKHUFT to centralise East Kent’s health services in Canterbury or Ashford. 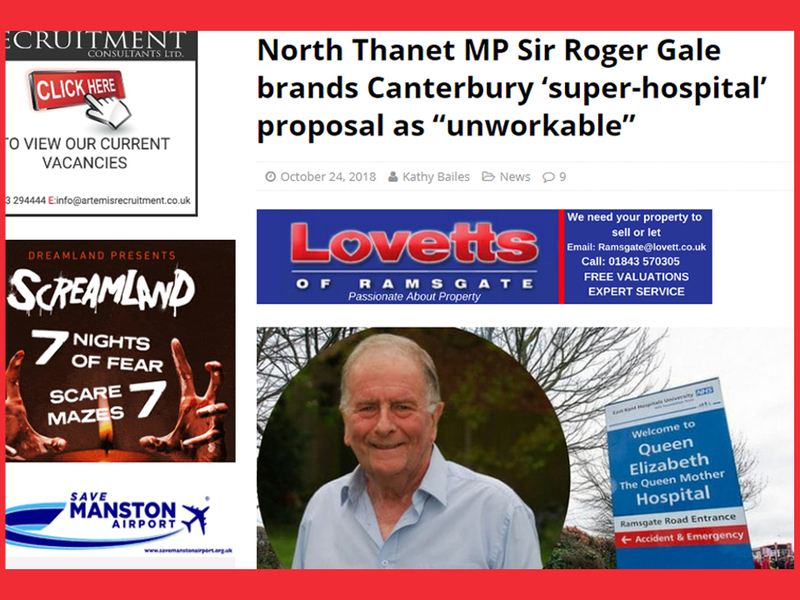 I disagree with Sir Roger Gale that the proposal to remove stroke and neonatal intensive care services from QEQM is in the ‘long-term healthcare interests’ of the people of Thanet. It feels very much like the first steps in downgrading Thanet’s hospital, and it seems sadly inevitable that other closures are now being proposed. (b) reduce inequalities between patients with respect to the outcomes achieved for them by the provision of health services. Thanet suffers from huge health inequalities and poor health outcomes. By removing services from this deprived population, health commissioners would be failing in their statutory duty. Our MPs should be holding them to account. I am also troubled by the idea of putting the future of our healthcare in the hands of a private developer. We have the benefit of hindsight that public–private partnerships, especially in healthcare, rarely end well.